Shopify Plus User? Use this guide instead. Once you install our app (it's a one-time $99 purchase. NO recurring fees! 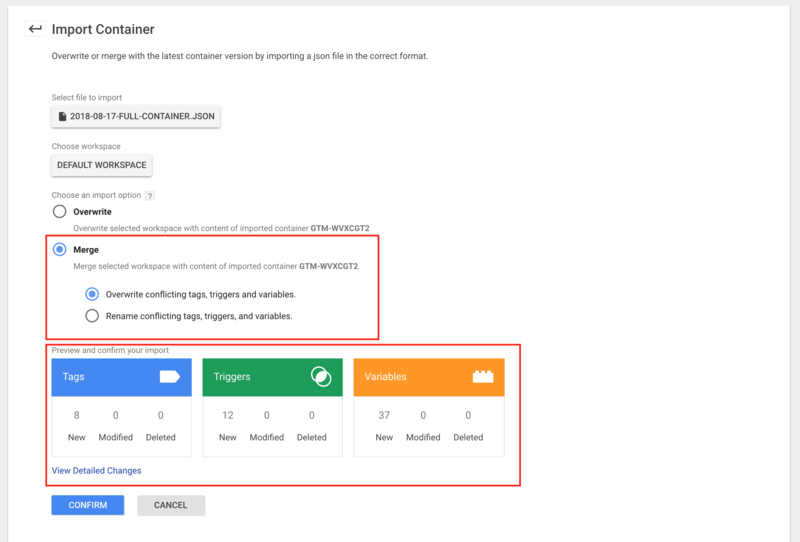 ), you can move on to the installation instructions where you need to input your GTM container ID. That's it! You now have GTM installed on your website through the app. 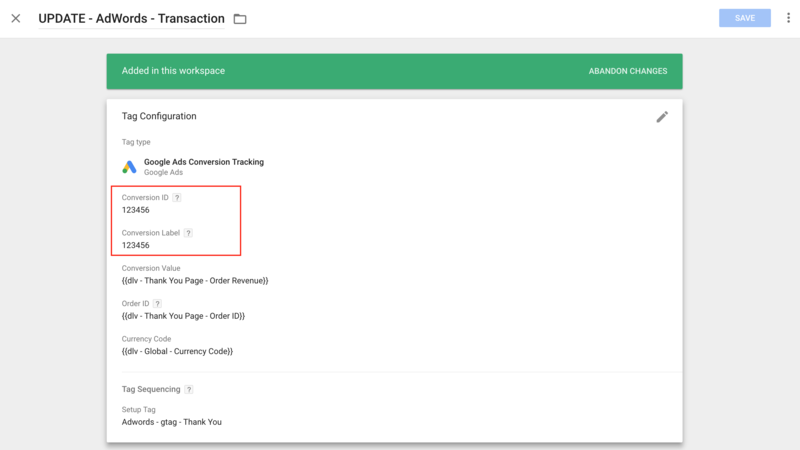 Chances are you already have GTM setup on your website. If you don't then you can skip this step :). Either way, now that you've installed our app you will need to remove this to prevent duplicate GTM containers on your website. And once you've copied then you can paste into the checkout script settings below. Once you're done click save! 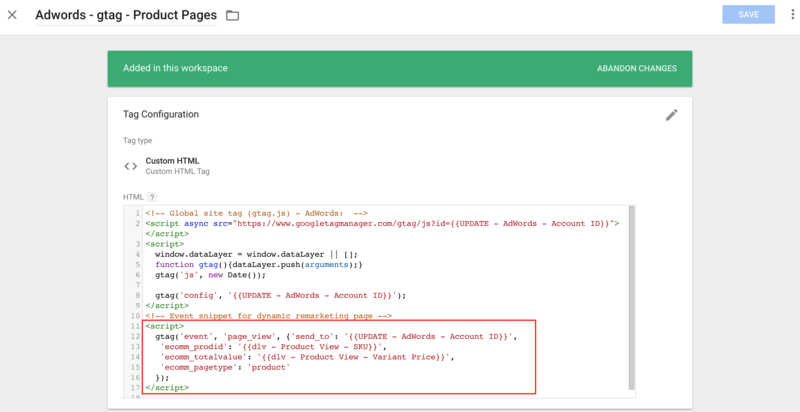 Now it's time to connect your new dataLayer data from your store to Google Tag Manager! Before importing our pre-built container, perform a backup of your existing live container. 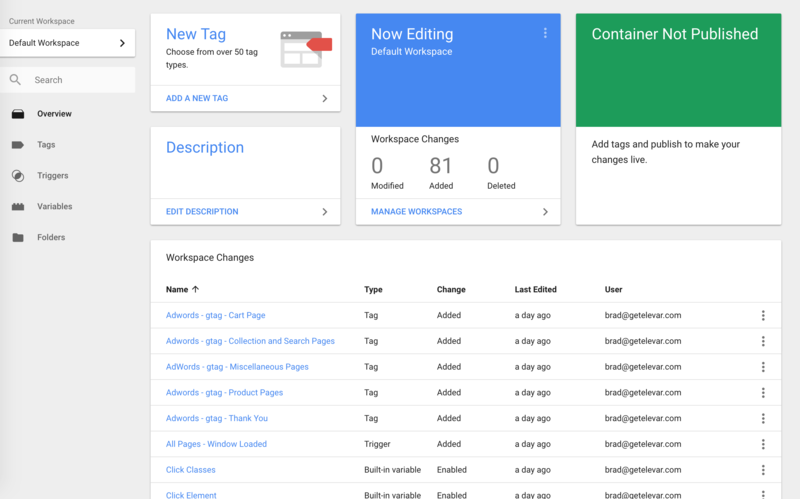 Go to GTM > Admin > Export Container and click to export your workspace (most of the time this is the “Default Workspace”). Save this file just in case! 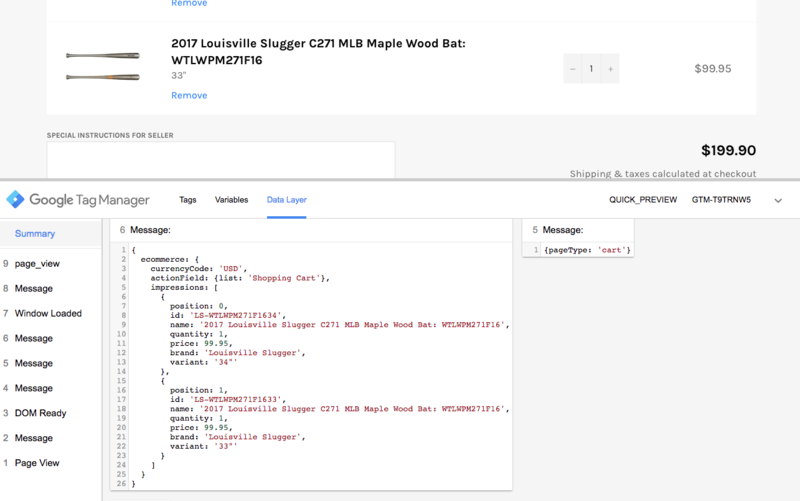 Now in order to connect your Shopify data to Google Tag Manager we need to create all of the variables, triggers, and tags for these to map to. Next, you’ll need to import this container into your GTM account. Go to GTM > Admin > Import Container then follow the steps below. DO NOT SELECT OVERWRITE! Review the detailed changes - if anything doesn’t look correct please email us. That's it for the remarketing setup! 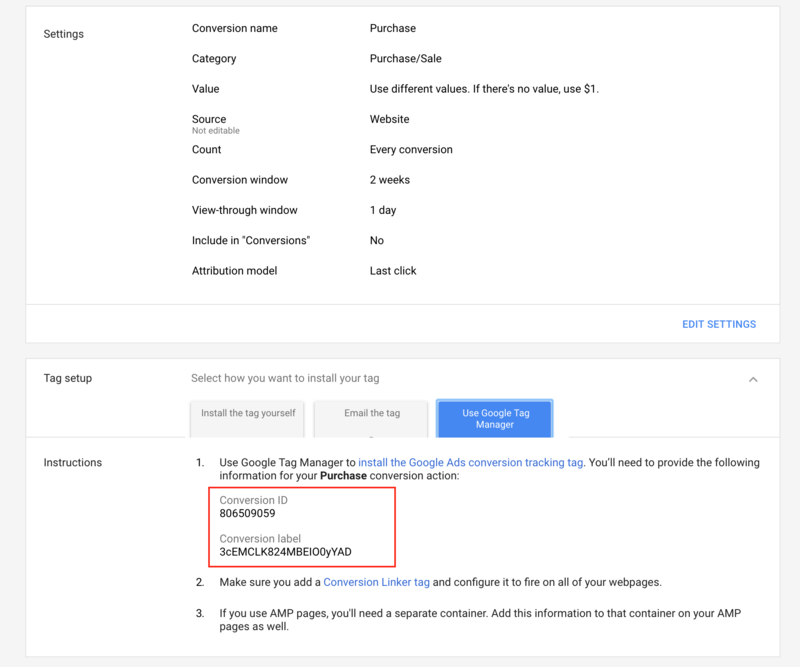 To implement AdWords conversion tracking, then follow these next steps as well. Once you've unpaused each tag you are ready to move on! 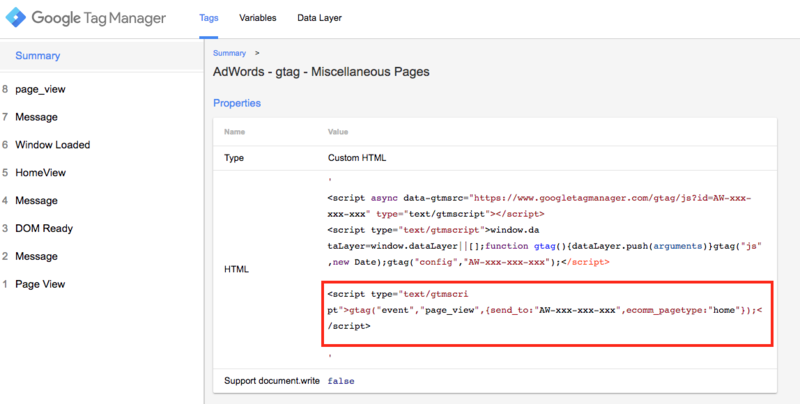 If you previously had AdWords scripts or remarketing tags setup then you will need to remove these to prevent duplicate tags from firing. 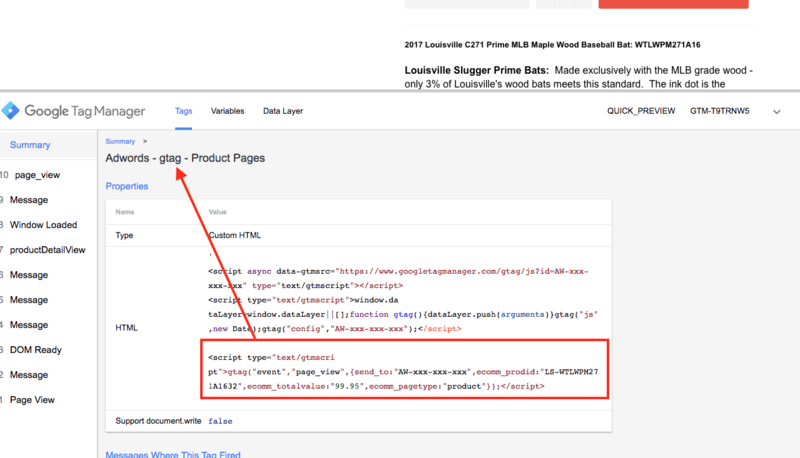 Now you'll need to set GTM into Preview mode and walk through all of your major pages of your website. 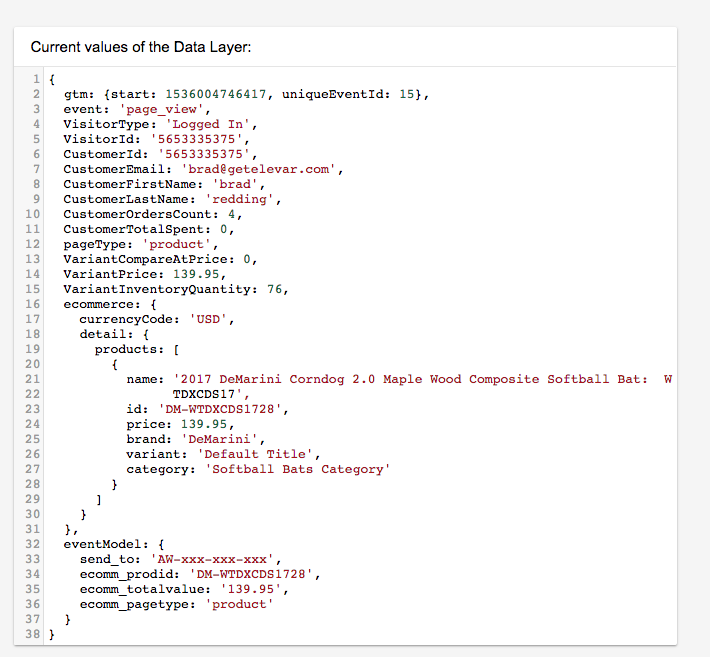 You will want to verify the data layer variables populate as shown in each section below. 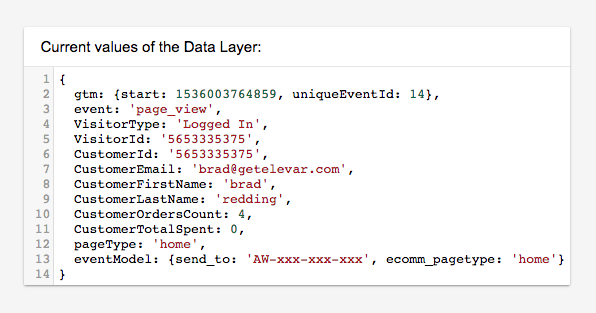 And the dataLayer should contain the same baseline data (visitor and page type) along with the additional collection page enhanced ecommerce data for impressions. Note: this guide doesn't show how to put this impression data into use on your Shopify store for Enhanced eCommerce. This is only recommended for Shopify Plus stores so you don't lose out on checkout-only data that we aren't able to implement via GTM. If everything is good then continue to do the same on your search result pages! 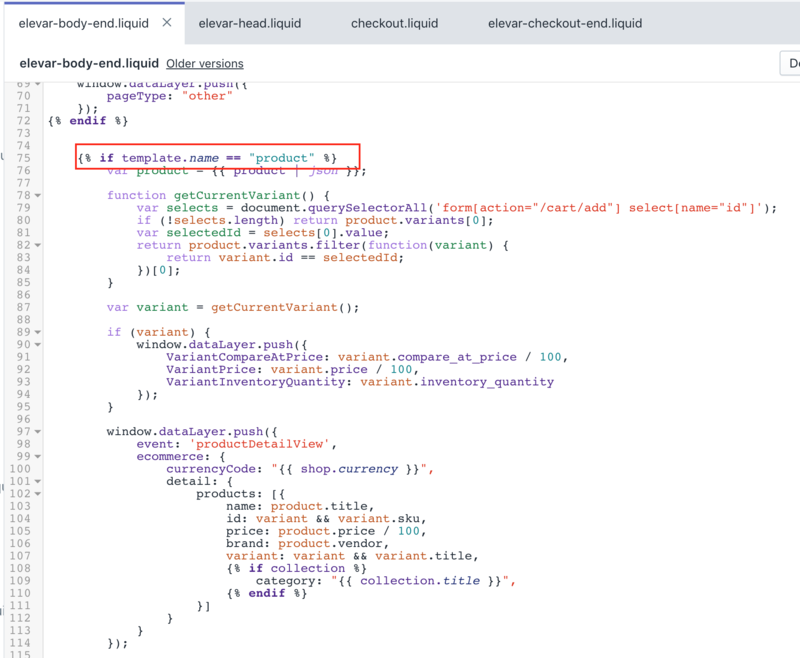 And the dataLayer should contain the same baseline data (visitor and page type) along with the additional cart page enhanced ecommerce data for product list impressions. 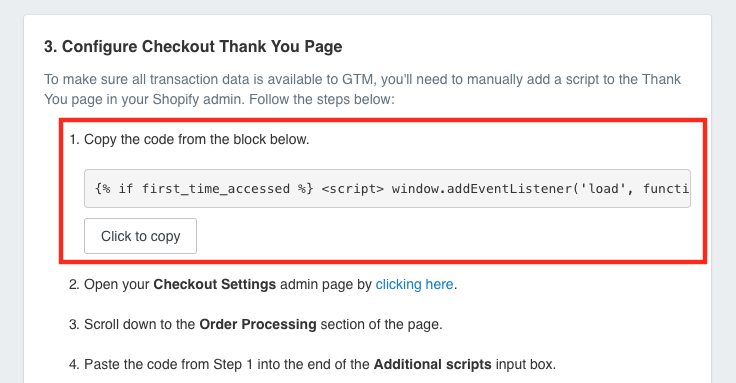 Since we don't have access to your checkout pages then we can't insert GTM into these pages. 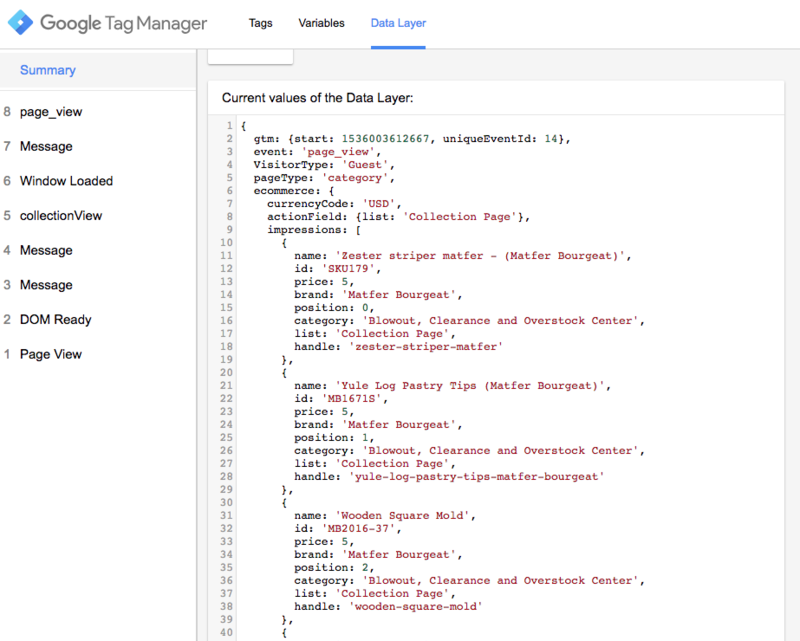 Additionally if you click on the Data Layer tab in the GTM console, you will see all of the data available for your use in Google Analytics, marketing conversion tags, etc. This data can be used in other third party tags (Snapchat, Bing, etc). 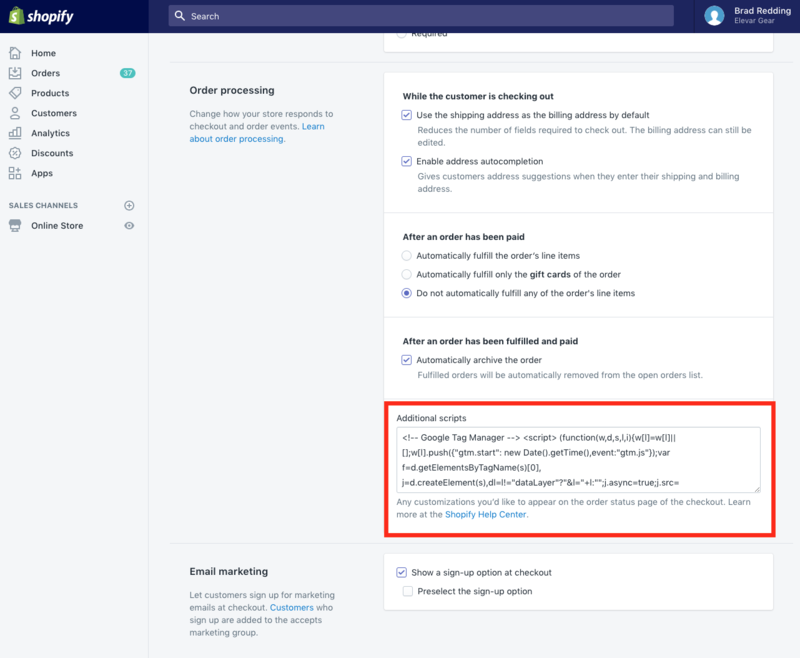 If any of your QA tests don't pass from Step 7, then it's likely that you have customizations to your theme that we aren't able to detect with our automated triggers. If this happens then it's possible that your product template name has been modified and requires a small config update. 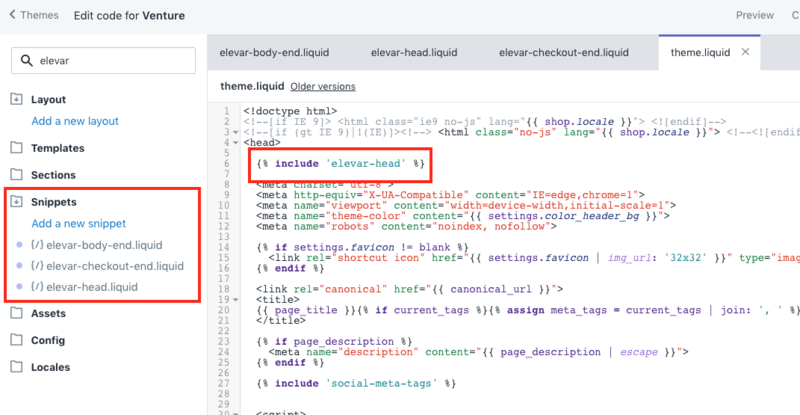 If this happens on your product detail pages then you will need to adjust the two lines of code shown below. If you need help updating this for your store please chat us. If you have other issues with testing please don't hesitate to chat us. Each container you import into GTM will have a folder called "UPDATE ON INSTALL". Once you are ready to go live it's time to publish! 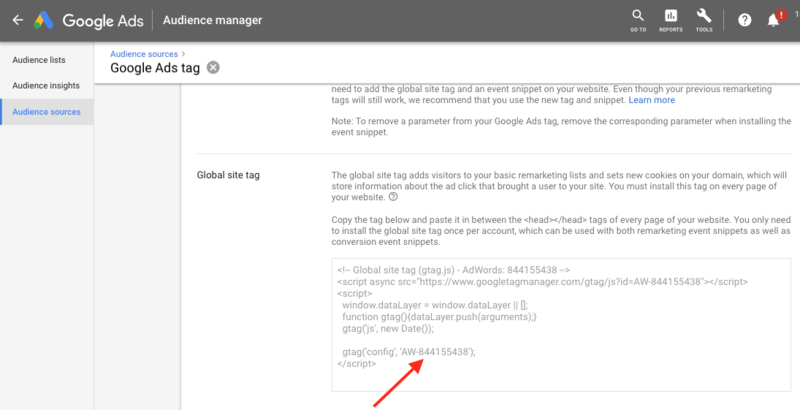 Inside of Google Tag Manager, click the "Publish" button in the top right and confirm your deployment.